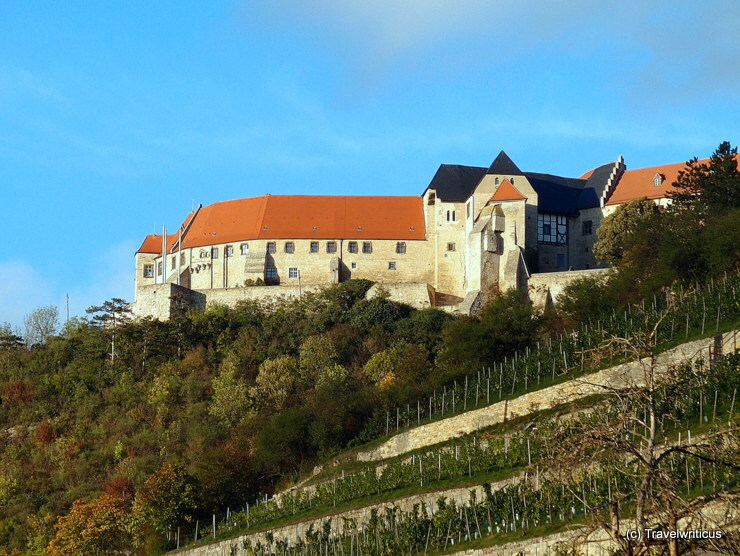 Neuenburg Castle (Schloss Neuenburg) located in the wine-growing area of Saale-Unstrut houses among others a wine museum. 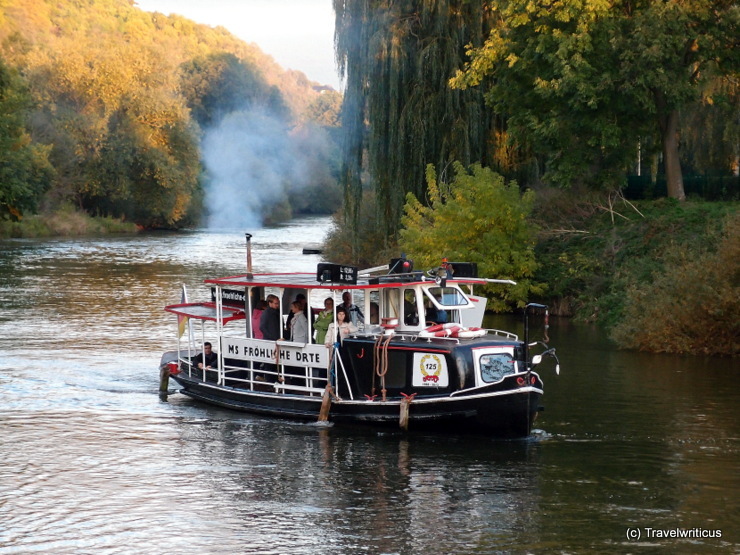 This photo was taken while enjoying a boat trip on the river Unstrut. 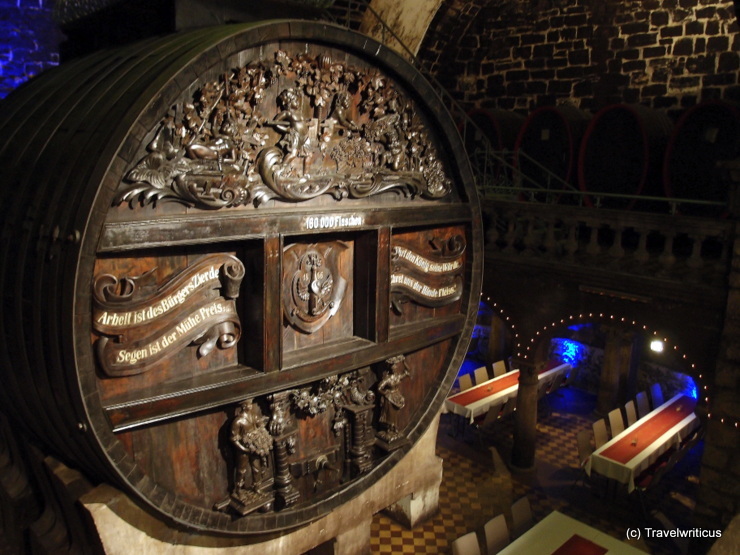 In the historic sparkling wine cellars of the Rotkäppchen winery in Freyburg (Unstrut) there is a huge wine cask for the cuvée. The barrel was built in 1897 and has a capacity of 120,000 litres. 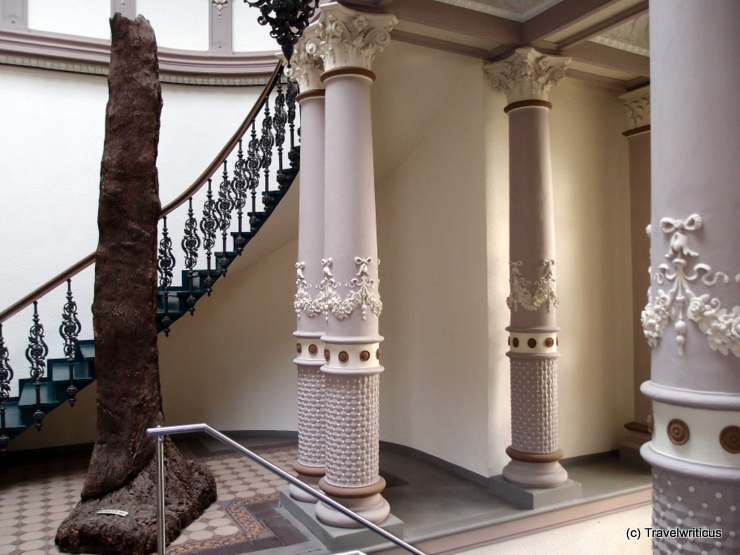 In the splendid staircase well of the administration building a piece of cork oak (quercus suber) is displayed. So people joining a guided tour through the historic sparkling wine cellars of the Rotkäppchen winery get an impression from which tree the sparkling wine corks are made.